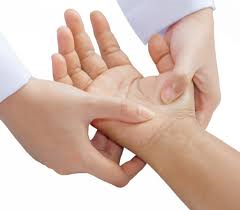 Carpal tunnel syndrome (CTS) has been classified as an injury associated with the wrist caused by a pinched nerve in the wrist. The symptoms are mainly pain and numbness in the index and middle fingers and weakness of the thumb. January’s Resolution? Weight Loss!! Need some help? New Hope Family Chiropractic Clinic is a true Health and Wellness center located in Pawtucket and East Providence RI. We offer the Gonstead method of Chiropractic and Nutritional Counseling. Dr. Lincoln believes in offering his patients the three pillars of health, an Optimal Functioning Spine and Nervous System, Optimal Diet and Exercise Programs.